We do not require any previous training or experience to join. New members who are not certified as EMTs or Paramedics are able to fill our entry-level position which is dispatching. To be a dispatcher you must be at least 16 years old. 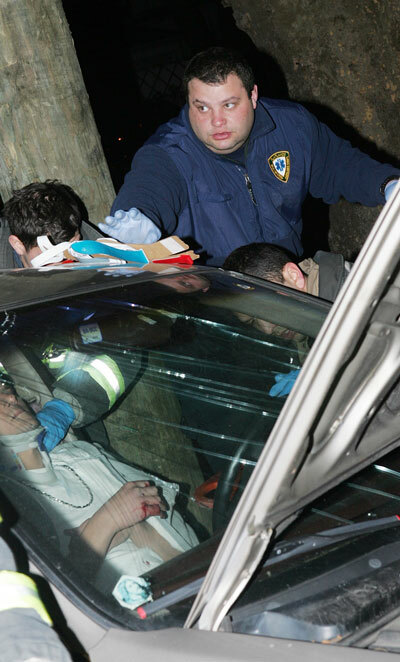 We provide all training for our dispatchers, and most of our dispatchers become first-aid and CPR certified. As a dispatcher, you will be answering emergency phone calls from community members, communicating with the ambulance crews via radio and contacting police/fire/ems agencies to request emergency backup resources. You will be expected to understand, speak, read and write English clearly. All new members must be trained as a dispatcher before they can ride our ambulances. This is regardless of any EMS experience they may have. 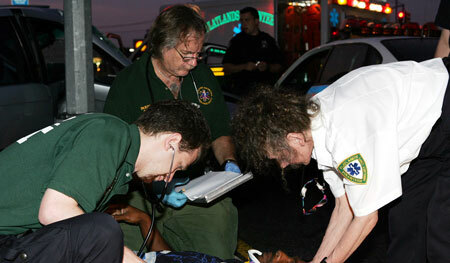 Once dispatcher training is completed, EMT members over 18 years old may begin to work on the ambulance as Attendants. 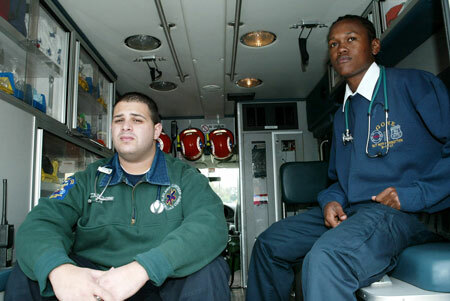 Attendants perform important aspects of patient care as a third or fourth member of the ambulance crew. Attendants work under the direction and supervision of a Crew Chief, who is the senior EMT in charge of the crew. 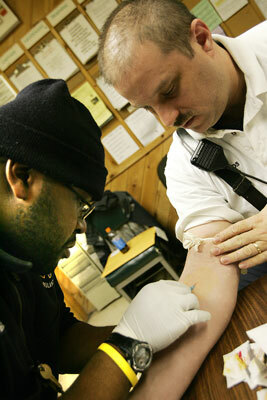 This is where valuable training is provided for any EMT who has little or no experience. You will not be on your own! 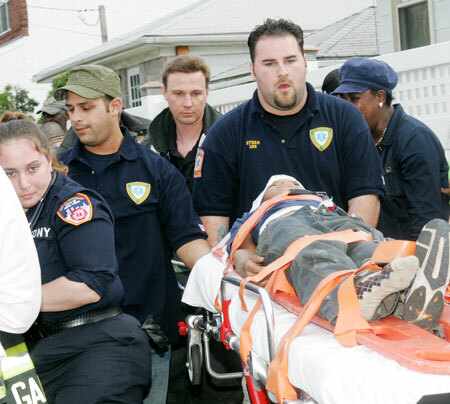 As an EMT, you will respond to emergency calls with our ambulances and you will be expected to have a clean and neat appearance, develop confidence, follow orders, develop general medical knowledge, react to special situations appropriately, demonstrate self-control and adhere to scene safety standards. Our attendants will have the opportunity to develop their skills in patient assessment, taking vital signs, using important ambulance equipment, splinting, immobilization, using carrying equipment such as the stair chair/scoop/stretcher, bleeding control/shock management, use of the Automated External Defibrillator, performing CPR, filling out ambulance call reports, proper infection control techniques and proper handling of blood borne pathogens. Once an EMT feels comfortable in the position of attendant and they have developed their skills, they will be eligible to be promoted to the in-charge position of Crew Chief as part of a mentor-based training process. Crew Chiefs are responsible for patient care and for all other Corps operations while they are on duty. Our Drivers are trained in Emergency Vehicle Operations under the direction of our Safety Officer. Ambulance Attendants with a clean driving record who are at least 20 years of age and have three years of driving experience old are eligible to begin driver training after being cleared by the Safety Officer. We have been approved for full ALS certification since July 2004. We are currently seeking REMAC certified Paramedics to enable us to open even more ALS shifts. EMTs and Paramedics who have experience may have certain training requirements condensed or waived at the discretion of our officers. Those who would like to join must express their interest by filling out our online form. Once we receive your information you will be contacted via email or phone to invite you to the next new member’s meeting. Attendance at a new members meeting is a requirement. At the meeting, you will be expected to submit a completed application along with a copy of a government issued identification such as a passport or driver license. EMT applicants must provide a copy of their EMT and CPR card. Paramedics must provide a copy their MAC card along with their state Paramedic card and CPR card. We will be discussing important aspects of our history, operations, expectations, and requirements. After the meeting, your application will be reviewed and verified. If you are eligible, you will be contacted to schedule your first training shift. Dispatcher training takes an average of 4-6 weeks. Trainees are expected to arrive on time and to remain for the entire duration of their assigned six hour shift. 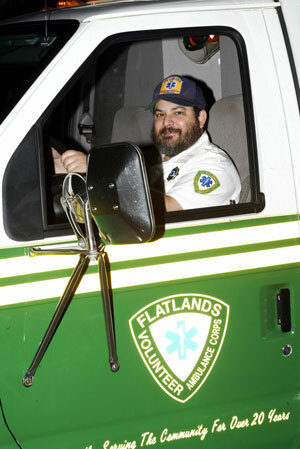 Trainees are expected to be at Flatlands for their assigned shift every week until their dispatcher training is complete. Dispatcher trainees must complete their training within 90 days of their first shift. Once dispatcher training is complete, EMTs will begin their training as attendants and non EMTs will continue as dispatchers. At this point, we would prefer if our members remain on a weekly scheduled shift, however the minimum requirement is that our members complete at least two full shifts per month to maintain their membership. All members are also required to attend a monthly general membership meeting.